I’ve always loved reading. 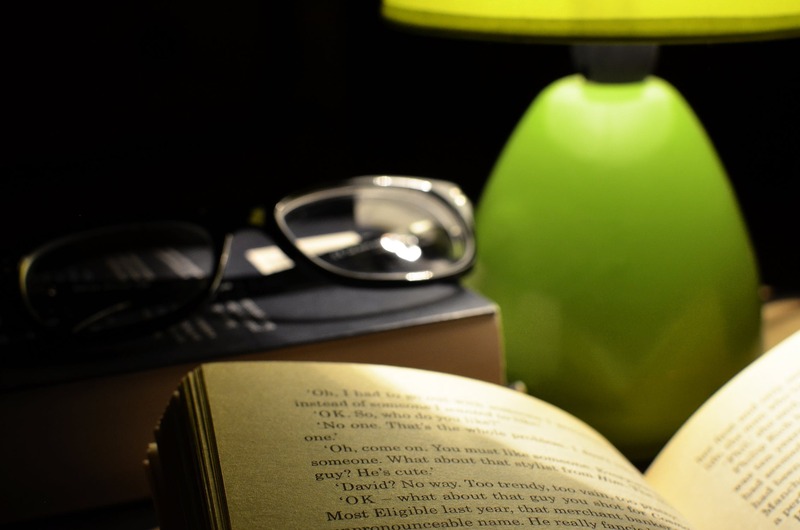 Even as a kid I would stay up late and read by the light of a very small night light until it was far past my bedtime. I would say, “Just one more chapter” to myself so many more times than I actually meant it. Sorry, Mom, this practice *may* or may not have contributed to my needing glasses later in life. Some of my favorite books were the ones where you could choose your own adventure. You’d get to the end of the chapter, and you’d be faced with a decision. Depending on what your choice was, you’d turn to one page or another to continue your adventure. For some reason, taking that little bit of ownership of the story by making small decisions really appealed to me. And, honestly, if I didn’t like how my version of the story ended, I would just go back and make different decisions until it ended satisfactorily. In real life, you’d need a time machine to make that kind of alteration, and then you’d always have to be mindful of the space-time continuum. The Bible is a little like that. No, not a time machine, silly. It’s like a choose-your-own-adventure book. Now, before you misunderstand, hear me out. I am NOT saying that we can make the Bible say whatever we want or that you can twist it to justify sin. The Bible is pure and is the Word of God. It’s inspired and flawless, and it’s the source of all truth. And it’s also alive! It’s one of a kind in that respect. Of course, I’m not discounting the role that the Holy Spirit has in speaking to us through Scripture, but my focus today is really going to be the Scripture pure and simple. Do you put yourself into the Bible when you read it? Are you a character in the story as it unfolds? Can you feel the heat of the sun or appreciate the shade God gave to Jonah? Can you feel how heavy the grapes are that are carried out of the promised land by Joshua Caleb and the other ten spies? Do you feel the rustle of the wind in the sycamore tree as Zacchaeus climbs it to see Jesus? The characters in the Bible were real people who experienced real life, and what’s recorded on the page in black and white is really only part of their story. How would it change your Bible reading if you walked in their shoes for a bit? God filled them with the skill of an engraver, a designer, an embroiderer, and a gold and silver craftsman. These are the works that He needed, so He equipped people with the talents needed to further His work. Can’t you just see God kneeling beside me (or you!) in that moment and He takes my hand and speaks gently that I shouldn’t be afraid or dismayed … He’s right here with me. He is MY God. He will strengthen me. And then on top of the strength, He’s also going to help me. And why not take it one step further than that … He will uphold me with His righteous right hand. Do you see how alive that progression is? He knows you or I can’t carry those burdens alone, so He’ll strengthen us … and He’ll help us carry them … and He’ll uphold us while He helps us carry those burdens and strengthens us. So, if my calculations are correct in this, He’s doing all the work … He just asks for your trust – that you won’t be afraid or dismayed. When you pick up your Bible tomorrow, read it as if it’s alive! Put yourself into the stories, let it speak to your heart for what you need each day, picture God saying those words directly to you. After all, the Bible is infinitely better than a choose-your-own-adventure book – it’s Author only makes the right choices!